← Honda return to F1 to be announced soon? Mercedes drivers Nico Rosberg and Lewis Hamilton are expecting to have a competitive car in Monaco next week, especially given the team’s form there last year. In 2012 Michael Schumacher qualified on pole while Rosberg finished second in the race. Further evidence of the team’s potential on the street track was arguably provided in qualifying in Spain, where the silver cars were quickest in the twisty third sector. “Monaco I always look forward to,” said Rosberg when asked about his hopes by this blog. “I really like the track and I’ve always gone well there. Finally getting a good result too last year, after many years of coming close in a way. And Mercedes, we really did a good car there last year – we had the best car there last year, so there’s no reason why we can’t be good there again, definitely. Hamilton confirmed that the 2012 form had given him some encouragement. 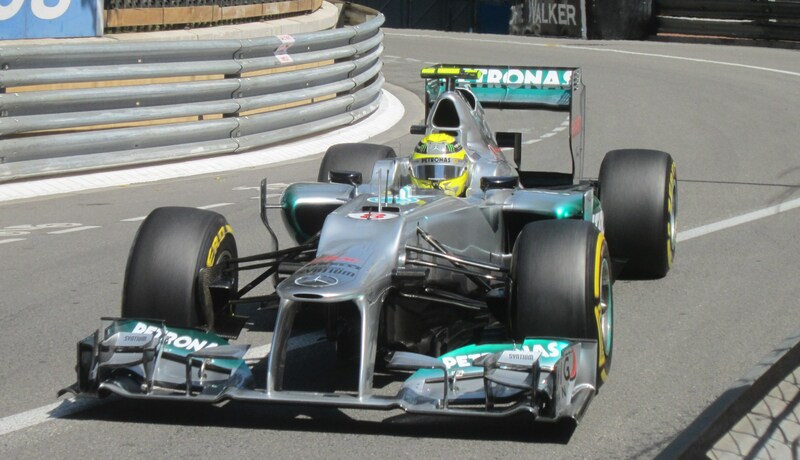 I’m looking forward to see Rosberg beat Hamilton in Monaco. Video: "Shut up, don't tell me how to drive..."